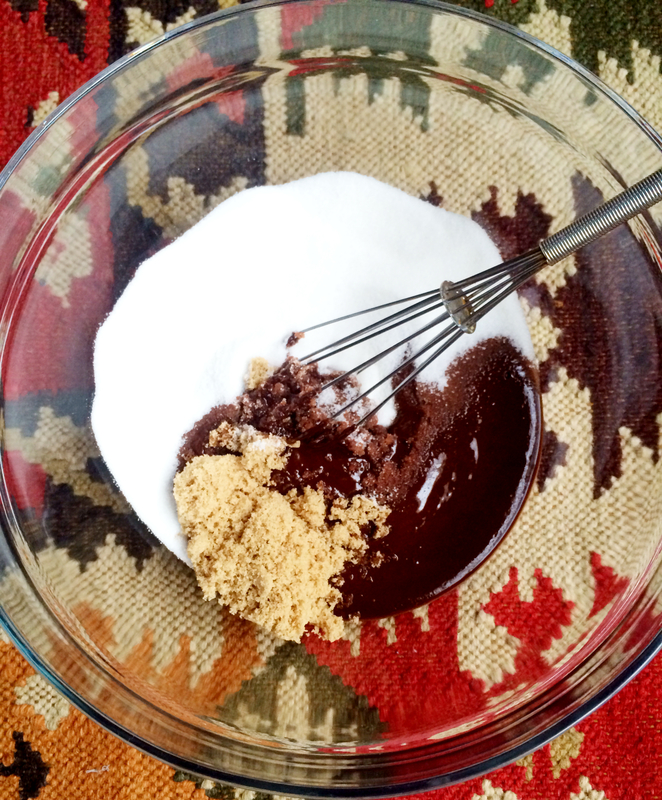 You are about to find out the secret to something seriously sweet…from scratch. 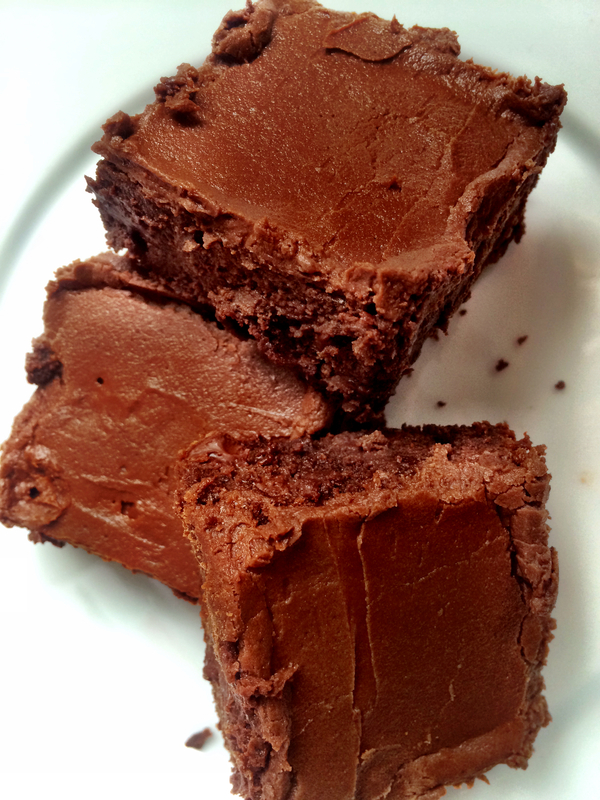 I have always been intimidated by homemade brownie recipes, relying on the boxed mix for convenience and what I thought were the same results. But this one from Sally’s Baking Addiction, has proven to be just as simple, with no mixer required, and tastes a thousand times better (by my calculations). 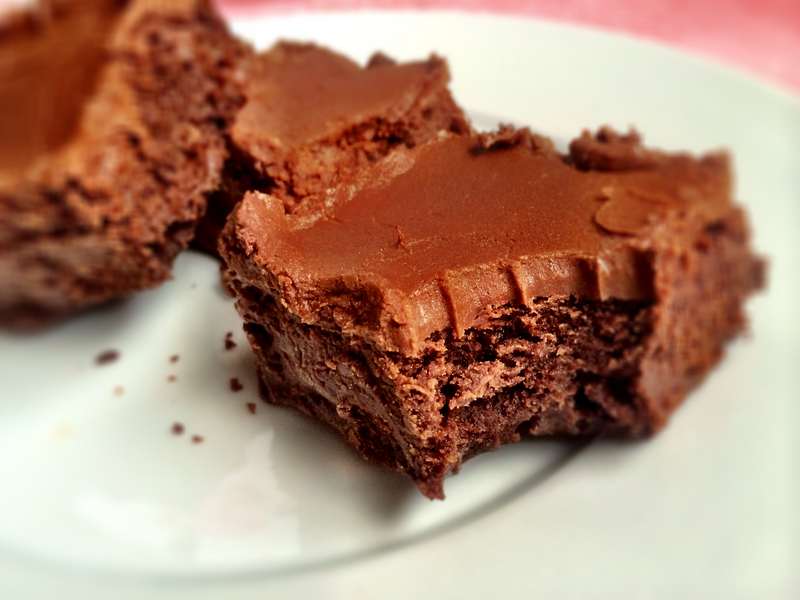 If you like thick, fudge-like brownies that are gooey and chewy and, did I mention fudge-like?…then these are for you. Even my husband, who prefers the stale, three-day-old brownie, the more well-done corner pieces, tried this batch and has been converted. Each bite of one of these reminds me of the chocolate fudge that I’ve watched being churned by hand each summer in Cape May. And being that during this season of Lent, I am limiting myself to sweets on Sundays only, this recipe may make an appearance every weekend until Easter. 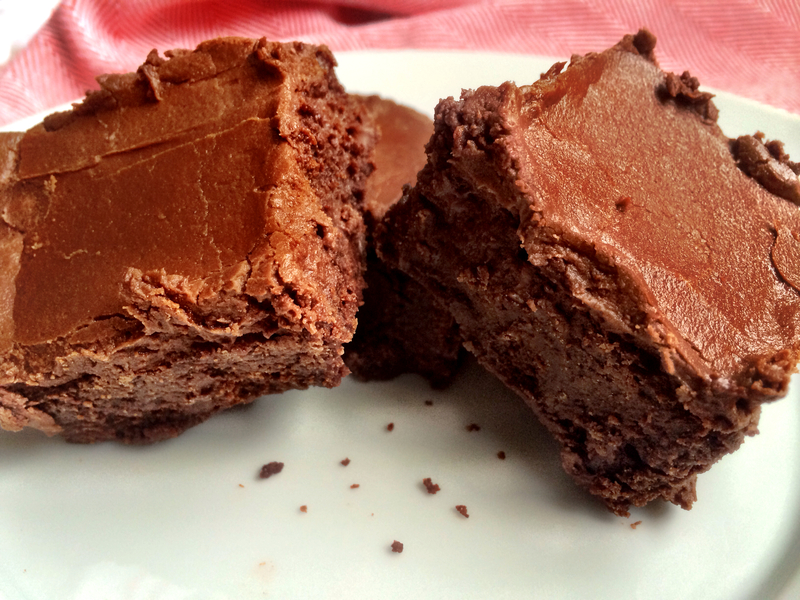 This will definitely become a favorite recipe to keep on hand and I bet you will be less likely to reach for the boxed brownie mix next time you are in the supermarket. I usually like to make slight changes to recipes that I find online or in a magazine, putting my own spin on someone else’s creation, but these were just too good to mess with. The exact recipe, including the ingredient list and instructions, were taken from the blog, Sally’s Baking Addiction. Check out all of the other amazing, mouth-watering desserts that she shares on her blog HERE. If you want to elevate these brownies even more, then make this milk chocolate frosting, also found on the blog, Sally’s Baking Addiction. The recipe for this frosting is so easy and so delicious that I plan on using it for cupcakes as well. 1. 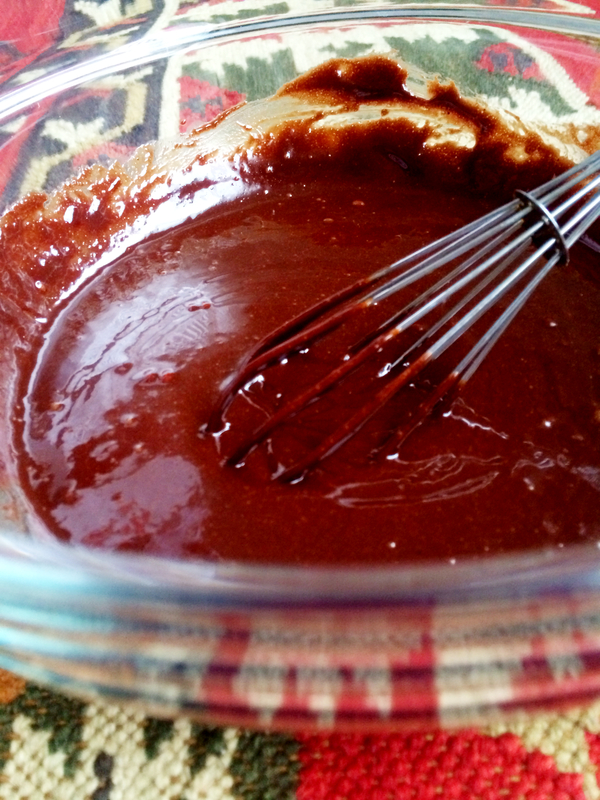 Melt the butter and chopped chocolate in a medium saucepan on medium heat, stirring constantly, about 5 minutes. Or melt in a medium microwave safe bowl in 20 second increments, stirring after each, in the microwave. Remove from the heat, pour into a large mixing bowl, and allow to slightly cool for 10 minutes. 2. Adjust the oven rack to the lower third position and preheat oven to 350F degrees. Line the bottom and sides of a 9×9 inch square baking pan* with aluminum foil, leaving an overhang on all sides. Set aside. 3. Whisk the granulated and brown sugars into the cooled chocolate/butter mixture. Add the eggs, one at a time, whisking until smooth after each addition. Whisk in the vanilla. Gently fold in the flour, cocoa powder, and salt. Once combined, fold in the chocolate chips. 4. Pour batter into the prepared baking pan and bake for 35-36 minutes or until the brownies begin to pull away from the edges of the pan. 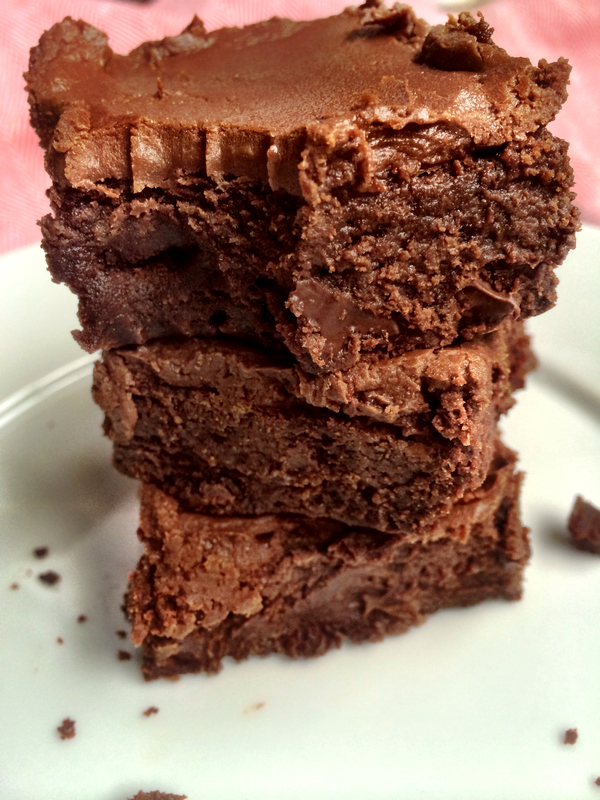 A toothpick inserted in the center should come out with only a few moist crumbs when the brownies are done. All ovens are different, so keep an eye on them after 30 minutes and use the toothpick test to see when yours are finished. 5. Allow the brownies to cool completely in the pan set on a wire rack. Once cooled, lift the foil out of the pan using the overhang on the sides and cut into squares. For neat squares, I use a very sharp knife and wipe it clean with a paper towel after each cut. 1. 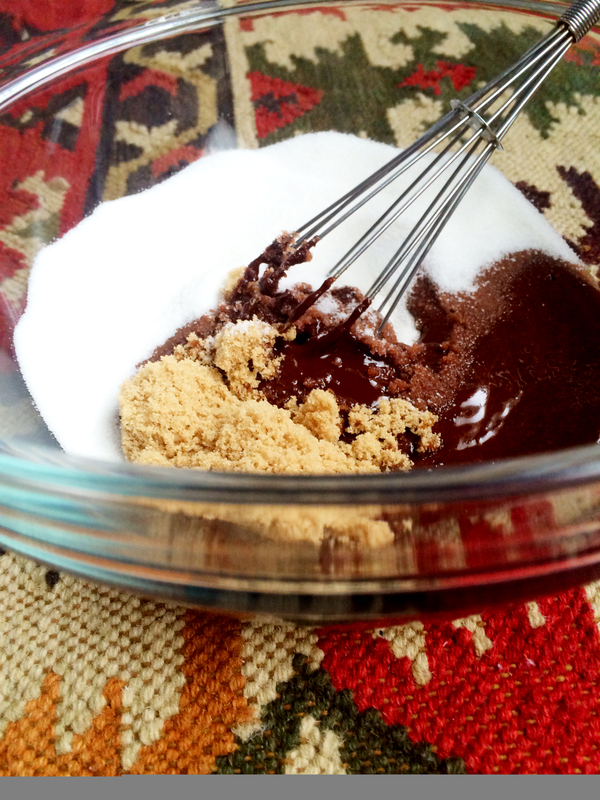 Sift together the confectioners’ sugar and cocoa powder to assure there are no lumps. Set aside. 2. With a handheld or stand mixer fitted with a paddle attachment, beat the butter on medium speed until creamy – about 2 minutes. Gradually add the sifted sugar/cocoa powder alternately with the heavy cream and vanilla. Beat on low speed after each addition. Once all added, beat on high speed until creamy and combined for at least 2 minutes. Add a pinch of salt if frosting is too sweet. Frost the brownies before or after cutting into squares, whichever you prefer.